Google just signed an agreement that will enable them to acquire 235 megawatts of renewable energy from wind farms in Sweden and Norway respectively. The announcement builds on the significant number of power purchase agreements (PPAs) Google signed last year, accounting for a whopping 842 megawatts of renewable energy used for powering the company’s global data centers. Last year’s deals more than doubled the total amount of clean energy the company has purchased to date, and this latest acquisition is just another step forward in the transition to 100 percent renewable energy, and will power all of Google’s European data centers. When Google opened its first data center back in 2006, the company announced the first stages of a corporate energy initiative shortly thereafter, known as RE<C. The RE<C was aimed at finding alternative electricity solutions at a lower price point than fossil fuels like coal or natural gas. This latest Google agreement outlines the company’s intent to buy power from an onshore wind park in Norway. A collaborative effort, Siemens AG will supply the turbines and the project will be financed by Blackrock Inc. Not wasting any time, construction on the Rogaland Wind farm is slated to begin this month, and should be completed some time in the next year. The farm will have a capacity of 160-megawatts, providing enough power for the Google data centers across Europe to operate for the next 12 years. In Sweden, a 22-turbine farm is scheduled to be completed by early 2018. “Google has been carbon-neutral since 2007 and we are committed to powering 100 percent of our operations with renewable energy sources,” says Marc Oman, EU Energy Lead at Google Global Infrastructure. “We’ve signed long-term contracts that give us price certainty and help wind farm developers secure construction financing,” says Google. So far, the company has seven power purchase agreements in place across Europe, accounting for 500 megawatts in renewable energy, bringing the total number of global power purchase agreements up to 18. Google’s latest deal is comparable to taking over a million cars off the road. Though, as we mentioned the project will be funded by Blackrock, the total value of the deal has yet to be disclosed. Google’s current renewable energy projects involve contracts with major energy providers like Duke Energy, EDF and RES Americas. 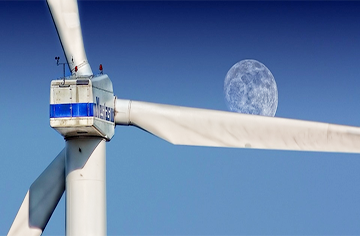 At Corporate Renewables 2016, corporate energy buyers, suppliers and advisors will gather to engage in a unique, comprehensive examination of the current state of corporate renewable energy procurement. Don’t miss your chance to hear from Michael Terrell, Principal, Energy and Global Infrastructure of Google, as well as representatives from Facebook, Amazon, Yahoo and more.